A group of 15 Bangladeshis have been imprisoned by the Department of Immigration and are awaiting departure, said a source within the department on Tuesday. The arrests have brought to light the plight of approximately 3,000 Bangladesh nationals who were illegally trafficked into Yemen and work in conditions close to indentured servitude. The departmental source did not want to give more details about the Bangladeshis' custody conditions, because he was directed not to speak to the media. The Yemen Times received an appeal letter entitled “Bangladeshi nationals are suffering,” on Sunday that referred to the 15 arrested Bangladeshis. The letter said that some Bangladeshi "brokers" are bringing workers from Bangladesh, providing them with tourist visas to enter Yemen and promising them high salaries of up to US $500 per month, with the support of Yemeni sponsors. “After bringing these potential workers to Yemen, 'brokers' engage them in inferior jobs illegally, which don’t match what they were offered," said the letter. "Most of the time they don’t provide work [at all].” The letter revealed the names of four major Bangladeshi brokers, including Kabir Hussein, Anamul Hoque, Harunur Rashid and A. Rahman. According to a reliable Bangladeshi source who asked to remain anonymous, “the "brokers" take US $4,000 for each Bangladeshi worker and give them hope of good jobs and salaries,” he said. “However, they mostly find themselves working as cleaners at restaurants and companies or construction workers." The source said that there are currently at least 3,000 illegal Bangladeshi workers in Yemen who end up taking menial jobs because they have no other choice. They receive between US $100-130 per month, or approximately three dollars per day. 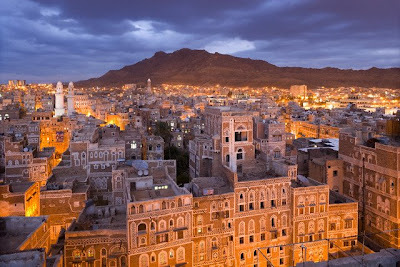 According to Yemeni labor laws, foreigners are not allowed to work in Yemen without proper labor permits, which must be issued by the government. Frequently in cases like these, the foreigners are arrested and deported.